The Heian Period began in the late 700s when the imperial court moved its capital from Nara to Heian (modern day Kyoto.) Many of the noble families in Japan also moved into Heian. A highly-refined court society came up among the upper class. There were many rules in the court for every part of life, though. There were rules about the length of swords, the color of robes, forms of address, and even women's skirts. Also, you could not laugh out loud in public. Etiquette was very important during the Heian period. Everyone was expected to be artistic with painting and poetry. Life in the Heian period was very centered around culture and arts. The best records that historians have of the Heian period come from essays, diaries, and novels by women in the court. 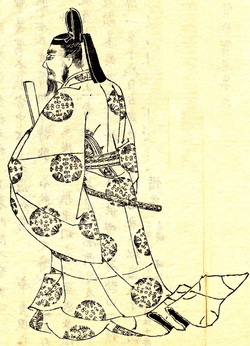 The long prose narrative, The Tale of Genji, was written by Lady Murasaki Shikibu and is considered the world's first novel. Japan's central government was pretty strong during the Heian period, but by the middle of the 11th century, the power of their government and the Fujiwaras started declining. Private armies were raised by large landowners outside of the capital, and it made the countryside a dangerous place to live. Farmers and citizens with small properties had to trade parts of their land to warlords in exchange for protection from the unlawfulness that was going on around them. The warlords who were gaining more land were also gaining more and more power. As they gained more power, a feudal system of localized rule began, like in ancient China and medieval Europe.